Stay at home moms, how is life treating you? Learning how to be a happy stay at home mom is not easy. I’ve been a stay at home mom for a couple of months now and I have to admit that being a happy stay at home mom is harder than I expected. I still don’t think I have it all figured out but I am doing better now than when I started. 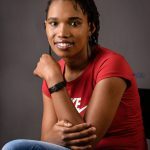 If you have been reading my blog for some time, then you know that I am a big proponent of personal development, growth and individual happiness. It is, therefore, a big deal for me that I am able to develop myself and flourish not just as a stay at home mom but as a person. Many stay- at- home moms get carried away in the busy role that they fail to pay attention to their own needs. Failure to meet your need for growth leads to an unfulfilled life. You need to find a way to live in your purpose, pursue your passions even as you execute your duties as a mom and a wife. Finding this balance is key for you to actually thrive. If you are going to thrive as a woman, a mother, a wife, a game changer and whichever role you want to take up, then you have to invest in creating systems and habits that work for you. 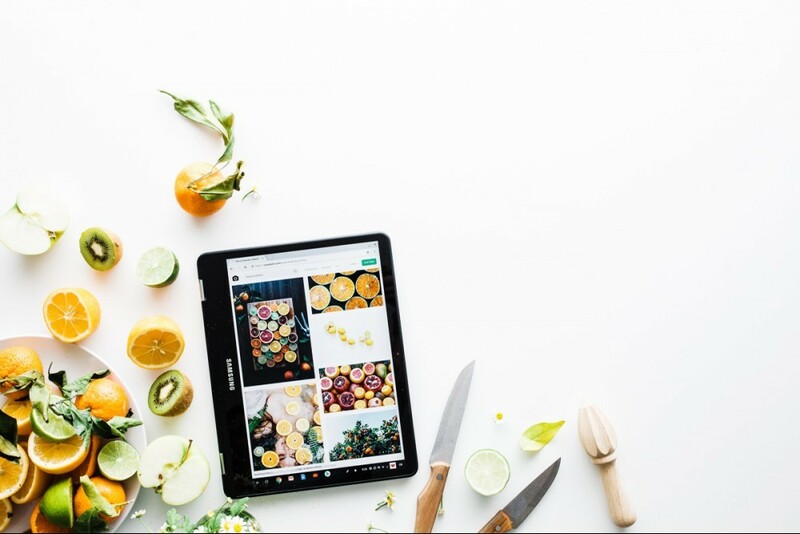 Though the details of what works for you will be different from one mom to the other, there are things that we can all do that will enable us to be happy, fulfilled, thriving stay at home moms. The first thing you have to do is to create a plan. Create a plan for your life, set goals for all areas of your life. Have health goals, money goals, spiritual goals, relationship goals and career goals. Did I surprise you by including career goals? After all, being a stay at home mom is now your career, right? Maybe. Maybe not. I think you need to ask yourself some questions, is taking care of your child/ren and tending to your home all you want to do? Are these roles fulfilling you? If this is truly fulfilling to you, then that is totally fine. Take up that role with pride and excellence and find joy in doing it. But, if you want more then you have to plan for more. Are you paying attention to your career goals as a stay at home mom? Think about your career goals in the long-term. What do you want to do after the children have grown up and they no longer need your care? You do not want to find yourself unprepared for what you can predict. If you are hoping to go back to working in the office at some point then take that into account. Keep yourself updated on what is trending in your industry of interest, take up classes to further your education… Make sure you are investing in yourself now in preparation for the kind of life you want to lead in the future. Maybe you do not want to ever go back to the office but you want to have an impact on the world in some way. Being a stay at home mom is not a reason not to pursue your goals. Invest in your personal development and go after your dreams. You can start by reading a lot to stay informed or take up an online course in a subject you are interested in. 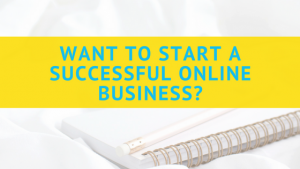 You can also start a business that you can operate from home. In this information age, there is no limit to what you can achieve. You can also work from home if that is something that interests. I love writing so I started a blog and I have also been freelance writing whenever I have time. I am happy to do so because it gives the flexibility I need to take care of my family and make money while being a stay at home mom. If there is one thing I have learned from being a stay at home mom, it is that I can achieve anything I want right from where I am. One of the things that make being a stay at home mom so hard is the lack of a specific schedule to follow. When you are going to work, you know exactly what time you need to be there and what time to leave. There are specific tasks each day that have to be accomplished and in some offices, you have to fill out timesheets to account for your time. Guess what? Even stay at home moms need schedules. Believe me. Having a schedule is necessary for you to be productive. Your schedule does not have to be too strict ( because then being a SAHM mom wouldn’t be so different from working, right?). It needs to give you a breakdown of the tasks that need to be handled and when (approximately) they should be handled. We all know how unpredictable life with kids can be, so you shouldn’t be stressing out about the exact time something was to be done. Create a schedule for your cleaning, play dates etc. It is easier to start the day when you have an idea of what to expect. The other thing is to create routines around your schedule. Have routines around your meal times, shower time, sleep time and other essential activities in your home. When a child gets used to a routine, they know what to expect next, and you will fight less about things that have to be done every day. Sometimes your routine will get messed up but just start again and keep trying to firm it up. Isn’t that what we mamas do? You said you want to thrive as a stay at home mom, didn’t you? Make your happiness a priority. Develop an attitude of gratitude and just take care of yourself. You really have to. This means that you need to slow down sometimes. Take time to rest and be refreshed. Also, make sure that you are making time for the things you are passionate about. Take your time to read a favorite book. Go to the gym. Hang out with other mamas. Just spoil yourself sometimes. I promise you it is worth it for both you and your family. Choose to invest in your happiness and in your relationship. Go for a movie date with your hubby without the kids. Have a babysitter watch your kids as you go for a much-needed spa date. The list of things you can do is endless really and totally depends on you. The key thing is that you make yourself and your happiness a priority. You cannot pour from an empty cup, take time to love on yourself. Thrive, mama. You can become the best you can be and still be a happy stay at home mom. 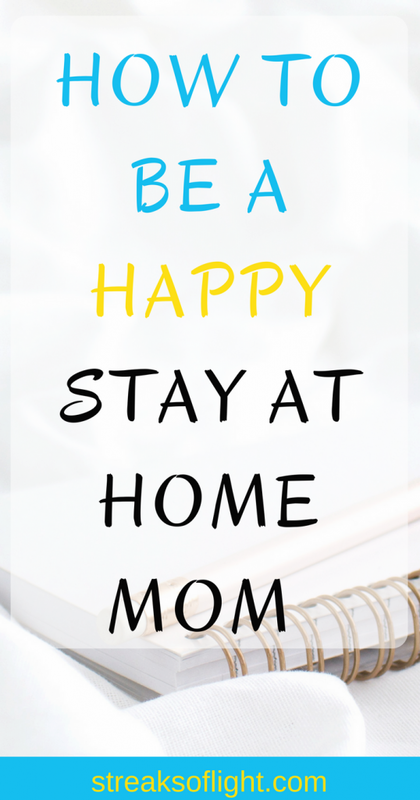 What are you doing to be a happy stay at home mom? Let me know down in the comments. I couldn’t agree more with having a schedule! That is so helpful in my family. Yes, schedules are really important. Thanks for your input, Nina. These are wonderful tips. It’s so hard to focus on yourself with a family to care for, but you’re right – it matters so much in the long run. Thank you for sharing! Thanks, Kristen. It does matter in the long run. You cannot pour from an empty cup.